Zen Bins are just what Dice Masters needed — GamingWithSwag.com - Dads By Day, Gamers By Night. 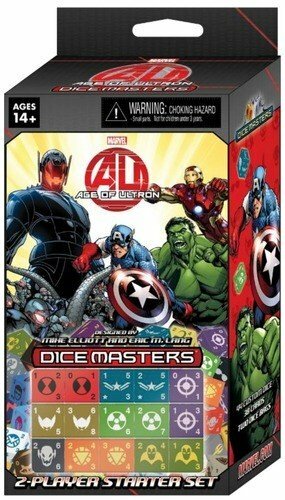 I have been an avid fan of the game Dice Masters by WizKids. 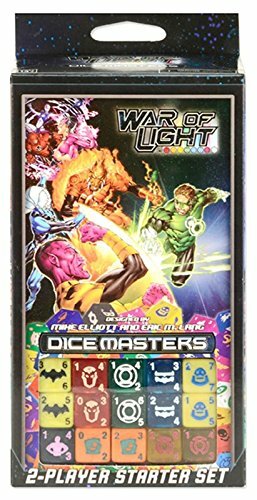 There is something that is easily accessible about paying under $15 for a starter set and $1 for a booster pack containing two characters and two dice. The thrill of the hunt is there, as you have a chance in obtaining a Super Rare character, or you might just be able to add more dice to your existing team. Its a very inexpensive hobby, and the game is really fun to play with friends. My old craft supplies organizer just mixed up my dice and caused frustration. When I first started collecting Dice Masters, it became imperative that I find a storage solution for all of these different plastic dice. 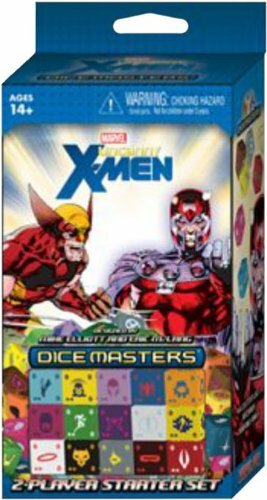 I purchased something similar to this, as it kept different character dice in different compartments, and stored everything I needed for the first two sets Marvel's Avenger's vs. X-men and Marvel's Uncanny X-men. Since the popularity has grown, WizKids has now produced seven different sets with more on the way. More sets obviously equals more dice. 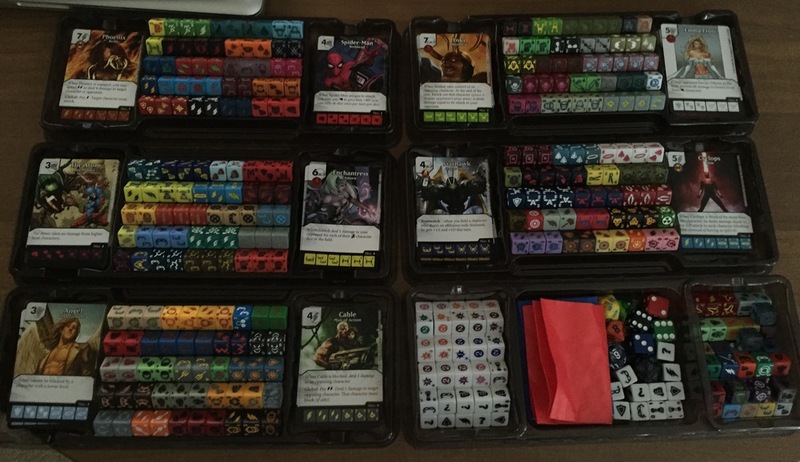 My craft supplies carrying case can hold several hundred dice, but the main complaint is occasionally the dice in the compartments will get mixed up in transit. This becomes problematic when you are at a friend's house and you are trying to get a game set up quickly. Enter Zen Bins, a storage solution designed for games like DiceMasters and Quarriors. Zen Bins are a compact, stackable, and durable storage solution for your dice, cards, and accessories. Originally funded by a Kickstarter campaign, Zen Bins easily shattered their funding goal of $7,000. Kickstarter and late Kickstarter orders have been fulfilled and shipped. Soon, retailers will be able to carry Zen Bins in their store. I recently received my Zen Bins order, I went with one large base to store the accessories and sidekick dice, five bins for character dice and cards, and one lid. I also went with the smoke option for a cool look and extra durability. I can now organize my dice correctly and locate them easily when doing battle with a friend (or nemesis). Cards can be easily retrieved, as there is some breathing room for the compartments for removing the cards from their storage area. Each bin completely interlocks when stacking, allowing for a storage solution that is not only compact, but none of the dice are able to shift when in transit. The plastic of the storage bins is of very high quality, and does not look to be cracked or broken without some major effort. Overall, I am very impressed with my Zen Bins, and I plan to order more as soon as possible, as I am already out of room and the Amazing Spider-man set is due out next month! If you are looking for a great storage solution for your dice and cards, look no further and purchase yourself some Zen Bins right away! As for my old craft supplies case, I think I am going to turn that into a nice portable component organizer for hardware.